I absolutely love dragonflies! Did you know that they are fairies in disguise? I just had to share my latest beaded bracelet. It measures 6-1/2 inches long. 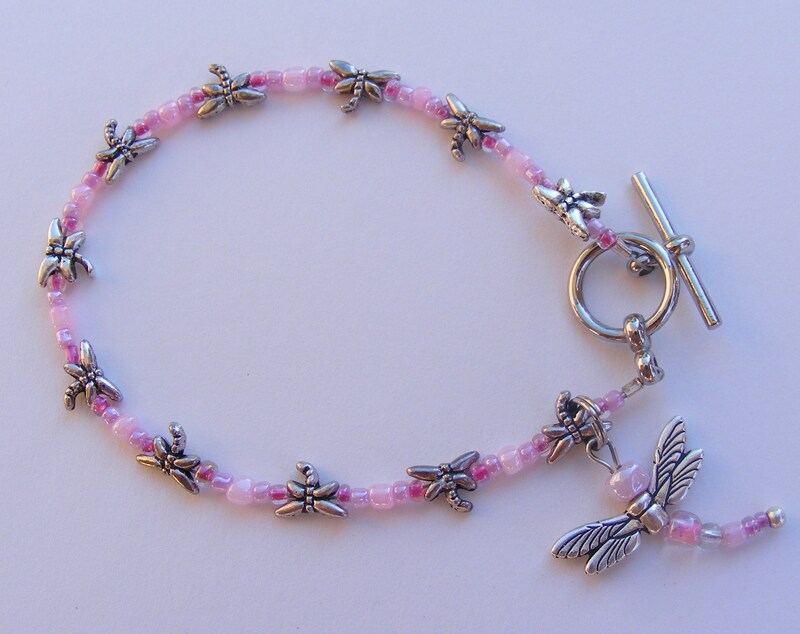 I used metal dragonflyand pink glass beads to create the bracelet. 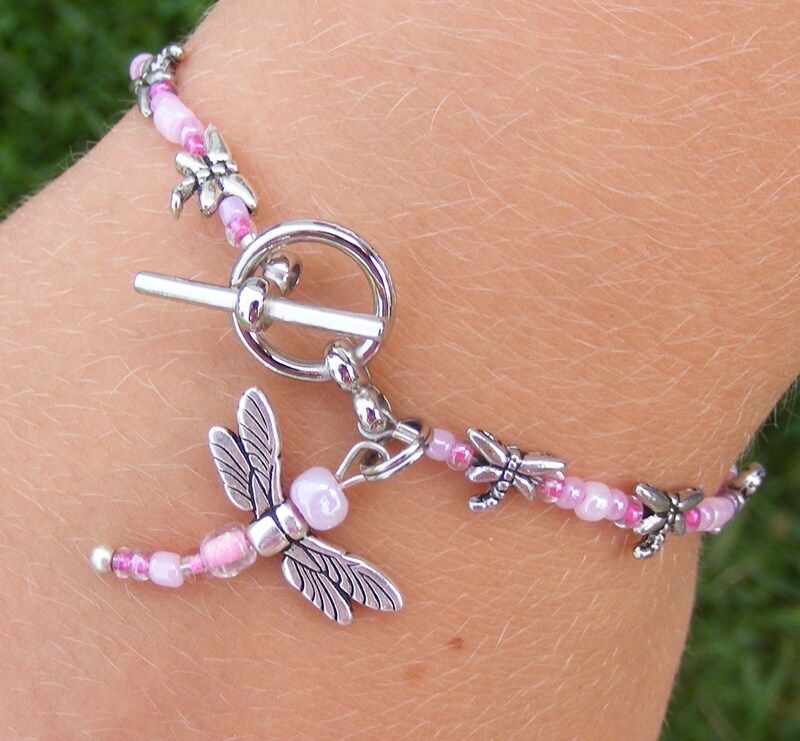 I created the dangle charm using the the same pink beads and metal dragonfly wings. I arranged them on a headpin and slightly curved the end to simulate a dragonfly in flight. I picked up the metal dragonfly wings from a fabulous little beading store located in Lake Geneva, Wisconsin called Beadology. They have a large variety of beads and jewelry making components and many great samples displayed to inspire you. Plus, the shop’s atmosphere is very welcoming. You can purchase your items and then go back to the work room to start creating you masterpiece. I’d highly recommend stopping by Beadology if you’re in the Lake Geneva area. But if you can’t get there physically, here is the link to the stores website http://www.beadology-lakegeneva.com/. You can visit my Etsy store if you’re interested in seeing more of my beaded creations. This entry was posted in Beaded Jewelry and tagged Beaded Jewelry, bracelet, dragonfly, glass beads, metal beads. Bookmark the permalink.